This book discusses D. H. Lawrence's interest in, and engagement with, transport as a literal and metaphorical focal point for his ontological concerns.�Focusing on five key novels, this book explores issues of mobility, modernity and gender. First exploring how mechanized transportation reflects industry and patriarchy in Sons and Lovers, the book then considers issues of female mobility in The R… ainbow, the signifying of war transport in Women in Love, revolution and the meeting of primitive and modern in The Plumed Serpent, and the reflection of dystopian post-war concerns in Lady Chatterley's Lover. 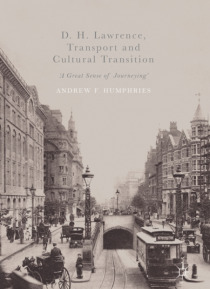 Appealing to Lawrence, modernist, and mobilities researchers, this book is also of interest to readers interested in early twentieth century society, the First World War and transport history.